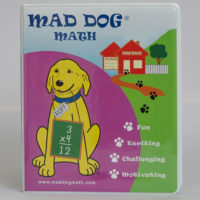 The perfect aid to Mad Dog Math. 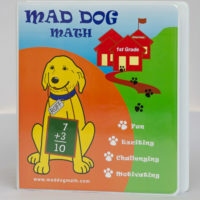 You will want your children to have these for practice at school, home, or on-the-go. 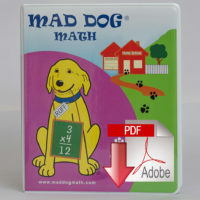 They are child-sized and are self-correcting. 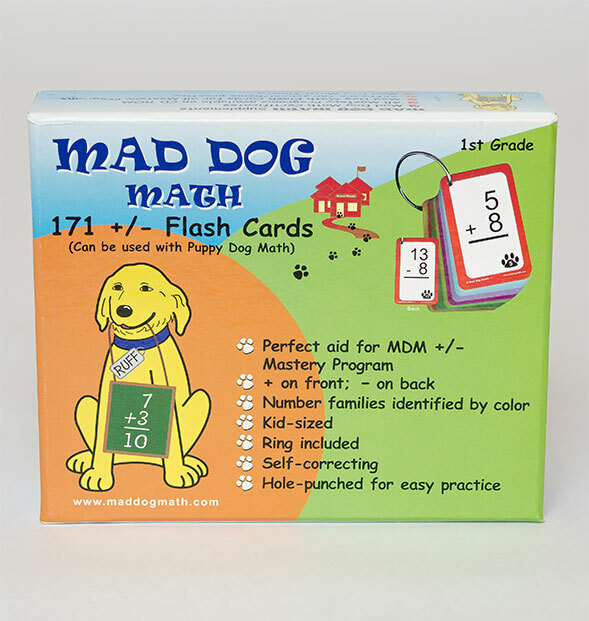 The color coded bands distinguish each math family for easy identification. 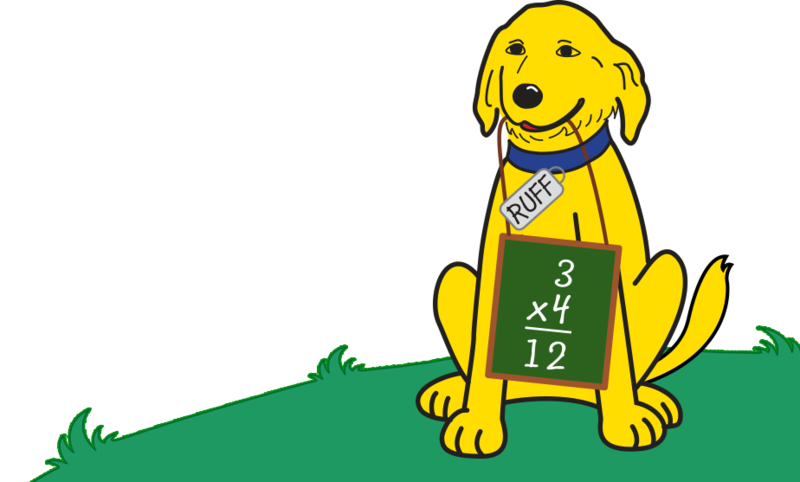 Two processes come in each box. 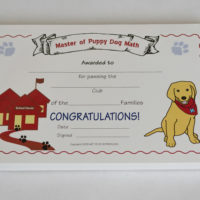 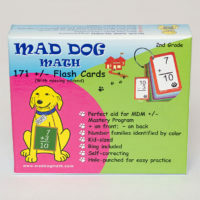 Mad Dog Math flash cards have been developed especially for Mad Dog Math. 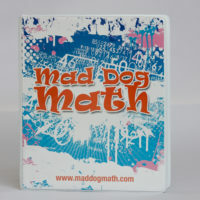 There is nothing like them on the market. 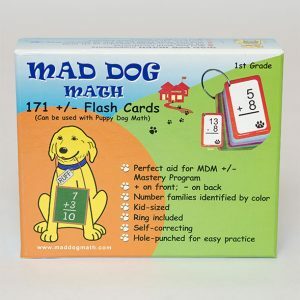 Two processes in one box; both addition and subtraction to the 18s family; 171 flash cards.